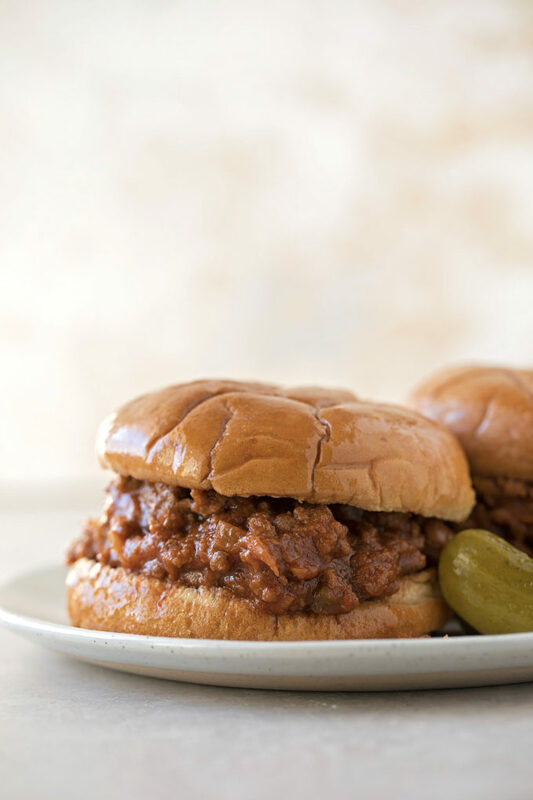 Easy, delicious homemade sloppy joes. It’s time to ditch the canned stuff- this version is the real deal! Made from scratch in 30 minutes. 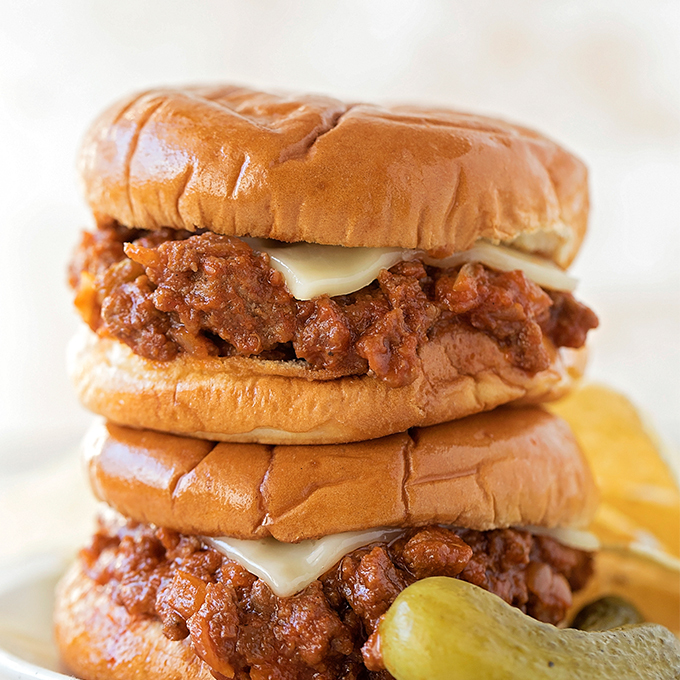 If you’ve never had a sloppy joe before, it’s a sandwich made with a sweet version of marinara sauce. 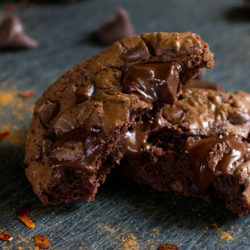 This childhood classic has always been a favorite of mine, but it has to made from scratch, with real ingredients. While the ingredient list below may seem a little long, I promise everything listed is there for a reason… mainly FLAVOR! Are you ready to get cooking? 30 minutes is all you need to make these delicious, messy sandwiches. Let’s get started. 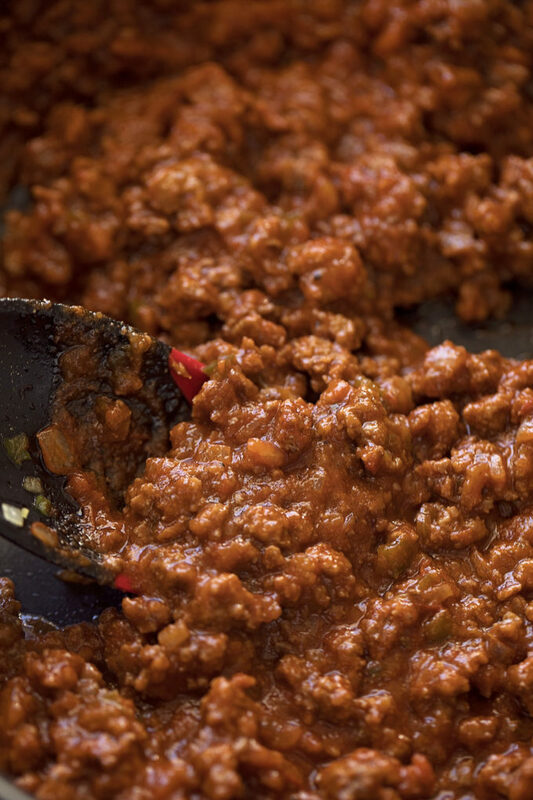 What kind of meat can you use for sloppy joes? 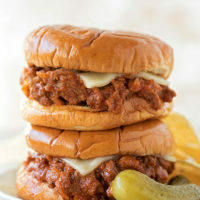 Traditional sloppy joes are made with ground beef. That’s what I’ve used in today’s recipe, however, ground chicken or even ground turkey can be a slightly healthier alternative. 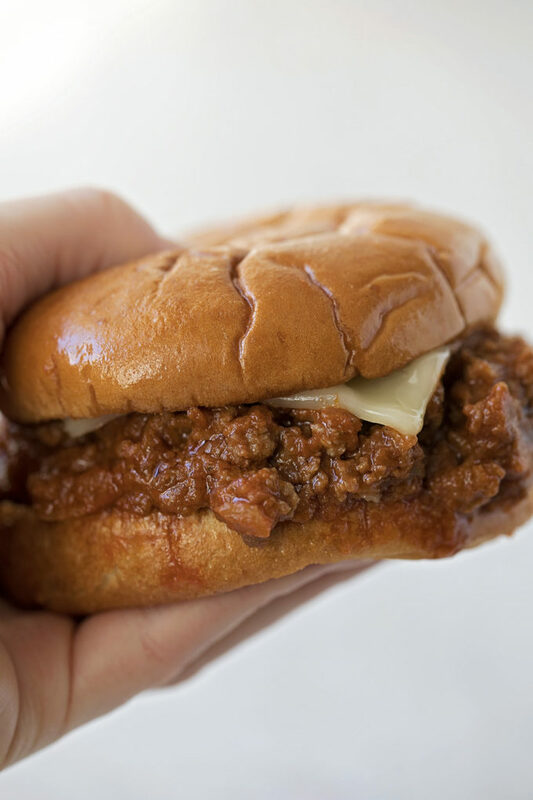 Making sloppy joes is easy. 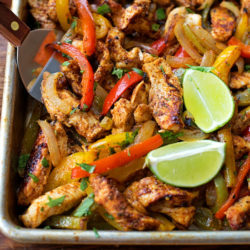 All you need is one pan. I suggest grabbing an extra large skillet or a dutch oven. Start by sautéing the onion and bell pepper, then add the ground beef and cook until browned. Sprinkle on the seasonings and minced garlic. Cook until fragrant, about 2 minutes. P.S. Adding the seasonings now and not after the liquid ingredients helps toast them which enhances their flavor. 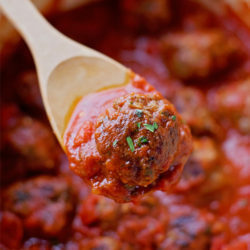 Pour in the tomato sauce, ketchup, brown sugar, dijon mustard, and Worcestershire sauce. Let the mixture simmer for at least 10 minutes. I like to let mine go a tad bit longer so that the sugars start caramelizing. It tastes even more amazing!! Serve the filling on top of toasted, buttered buns. You can use plain hamburger buns, potato buns, kaiser rolls, brioche buns, or even toss it into a grilled cheese sandwich. We like to add a thin slice of Swiss or Monterey jack on top… because everything is better with cheese! These sandwiches are best served right away. 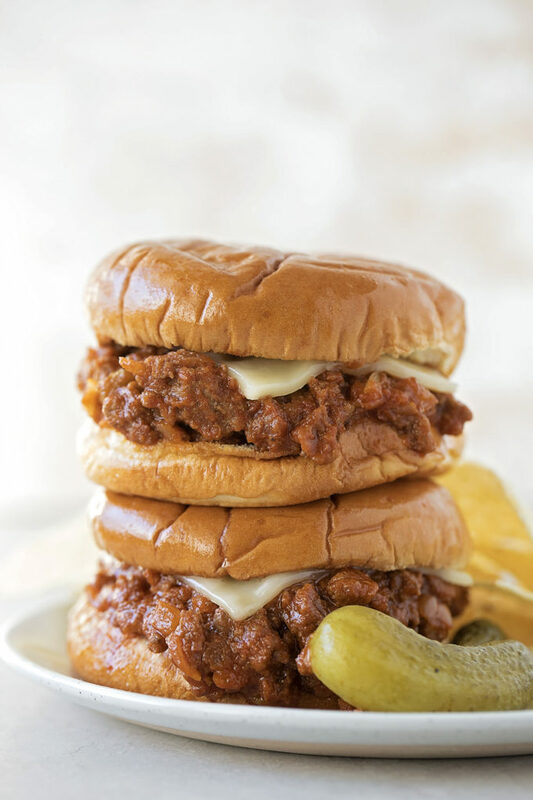 The filling is incredibly moist, so as soon as it hits the bun, it starts getting soft. Just another reason why toasting is a good idea. 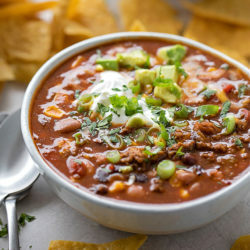 You can make the filling ahead of time and either refrigerate and reheat, or keep in a crockpot or Instant Pot on warm. 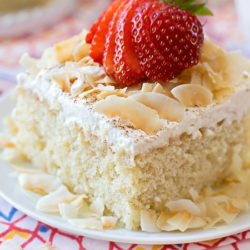 This is especially useful when serving at potlucks, BBQs or game day parties. 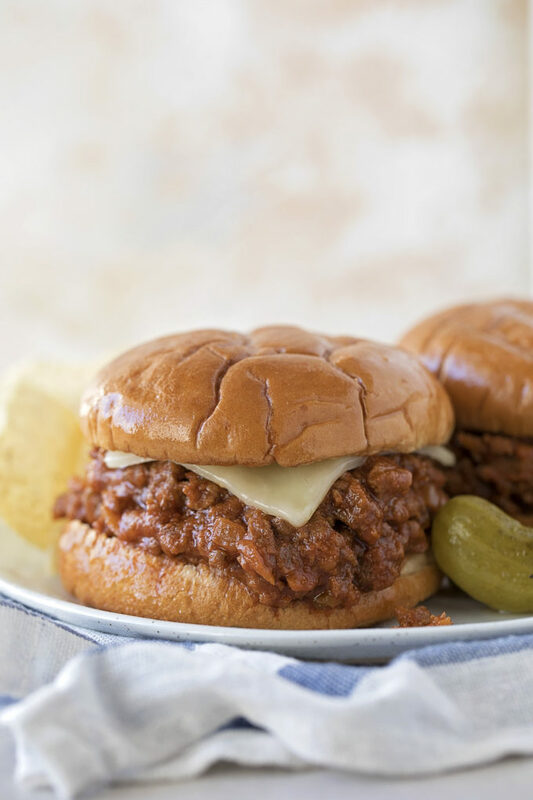 Easy, delicious homemade sloppy joes. 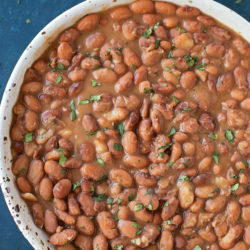 It's time to ditch the canned stuff- this version is the real deal! Made from scratch in 30 minutes. In a large skillet or dutch oven set over medium heat, add the oil. Once hot, add the onion and bell pepper, saute for 3 minutes, then add the ground beef. Break up the ground beef and brown, about 5 minutes. Add the garlic powder, onion powder, paprika, salt, pepper, cumin, and minced garlic. Cook for 2 minutes. Add the tomato sauce, ketchup, brown sugar, dijon, Worcestershire. Simmer for 10 minutes, then remove from the heat. Serve the filling on toasted, buttered buns. Add cheese, if desired. 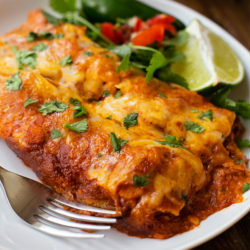 This is going on my meal plan today! 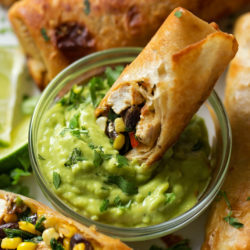 They are also great with pepperoncini peppers which aren’t spicy but add awesome crispy flavor!❤️ I love your blog, everything is so beautiful and delicious! 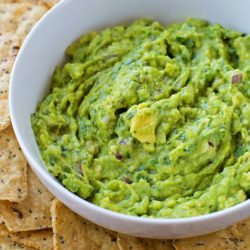 Why have I never tried these with pepperoncini peppers?! Genius! !